Marco Reus hit the target once again to for Borussia Dortmund, but it was not enough to seal all three points in a 1-1 draw at home to Augsburg on Monday night . Augsburg came into this game on the back of two consecutive defeats and began as if determined not to make it three in a row. They were aggressive in midfield and denied their hosts time and space on the ball, but their resilience was broken after 16 minutes when BVB's deadly trio of Reus, Mario Götze and Andre Schürrle combined on a counter-attack. The latter's cross was cut out by Martin Hinteregger, but the ball fell straight to Reus, who chipped in his second goal in three games. Dortmund's urgency dropped off in the second half, though, allowing Augsburg to gain confidence and grow into the game. 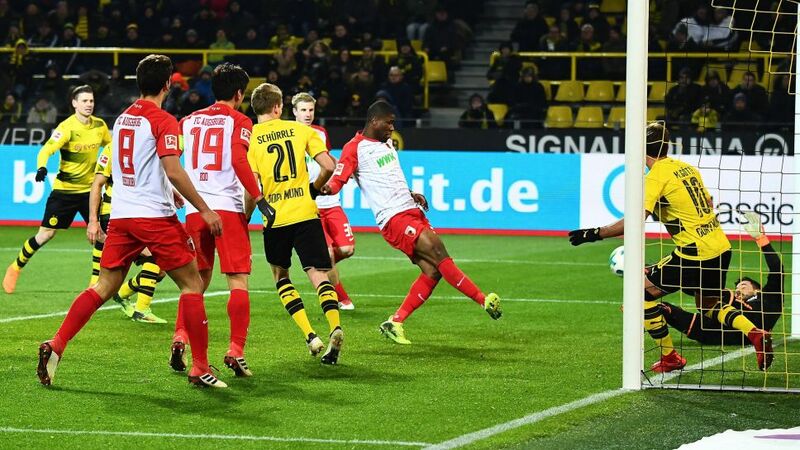 The visitors' attacks gradually got more threatening until they got the equaliser their pressure deserved, Kevin Danso finishing on the rebound after Roman Bürki had saved his header from a corner. The hosts went closest to grabbing a winner in the closing stages, with chances for Michy Batshuayi and Mahmoud Dahoud, but Augsburg held on for a valuable point. Danso's goal was his second this season - he also scored from a corner against Leverkusen.Ja-Cheol Koo captained Augsburg for the first time ever in this game. Dortmund captain Marcel Schmelzer started a Bundesliga match for the first time ni 2018 here. Reus has now scored five goals and provided five assists in his last 10 games against Augsburg. Watch: Schürrle "We didn't deserve to win"
Click here for the Dortmund vs. Augsburg Match Centre!